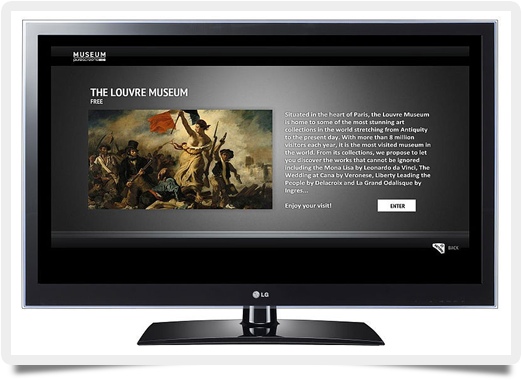 Broadband News » Entertainment » What Is a Smart TV? Just as smartphones revolutionized the mobile industry, smart TVs are set to do the same for televisions. Here’s everything you need to know about a technology that’s just got a whole lot smarter. If you have seen the ads and heard the phrase but are still asking yourself, “What is a smart TV?” you’re not alone. Fortunately, there’s never been a better time to find out why smart televisions will change our viewing habits beyond all recognition. In a nutshell, smart TVs allow you to watch traditional television. What makes them special? They also have a built-in Internet connection, allowing you instant access to video streaming sites such as Netflix, instant messaging, and social networking. The newer models come equipped with a full web browser, allowing you complete access to everything the Internet has to offer. Obviously, a reliable and fast Internet connection is essential for any smart TV to fulfill its potential. Most models come with a combination of an Ethernet port, allowing you to connect directly to your home broadband router, and built-in WiFi hardware. What Is a Smart TV Used For? Smart TV functionality depends to a degree on the make and model, but most offer access to social network giants such as Twitter and Facebook, with a few featuring IM applications like Skype. Some smart TVs at the higher end of the scale incorporate a webcam to enable full-screen video calling. Yet when people ask, “What is a smart TV?” they’re usually wondering if it offers video on demand (VOD) services. The good news is that it does, which is probably its biggest selling point. With VOD alongside subscription-based services such as Netflix, you can access free services such as YouTube through your television. Due to the app store phenomenon of the last decade, which has ensured that smartphones and tablets have pride of place in millions of homes, some TV manufacturers eager to emulate the success of Apple’s App Store and relative newcomers such as Google Play have developed their very own online stores where people can download a whole range of apps and games to their smart TV. Tech giants such as Samsung and Panasonic have led the charge. The Panasonic app store already boasts a wide selection of games to download.